In a real democracy, voters decide on policy. With Proportional Representation, it’s done behind closed doors. Dirty side deals forcing dangerous ideologies onto the government agenda will be the new norm. That’s why I’m voting NO to Proportional Representation this fall. Far-right extremists calling the shots in the BC Legislature? No thanks. That’s not my British Columbia – and with Proportional Representation, that will be the new normal. I’m voting NO to fringe parties causing chaos and holding the balance of power this fall. Local issues deserve local voices. 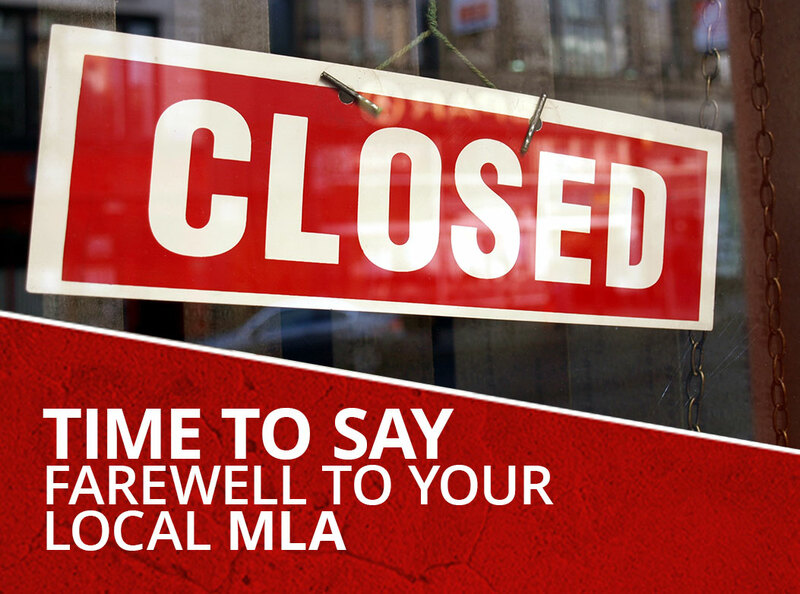 With Proportional Representation, bigger ridings will diminish your access to your MLA. And what’s worse is that we won’t even know by how much -- the BC Government is refusing to provide maps. 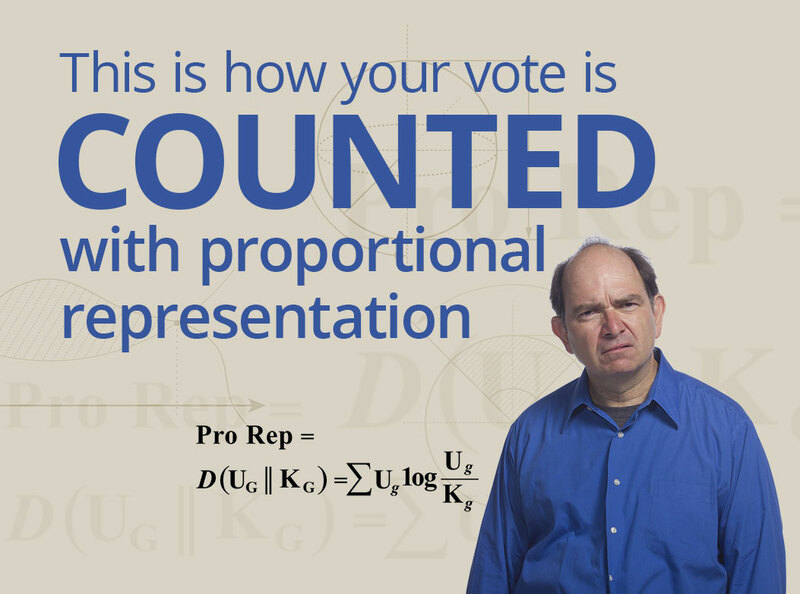 I’m voting NO to Proportional Representation. 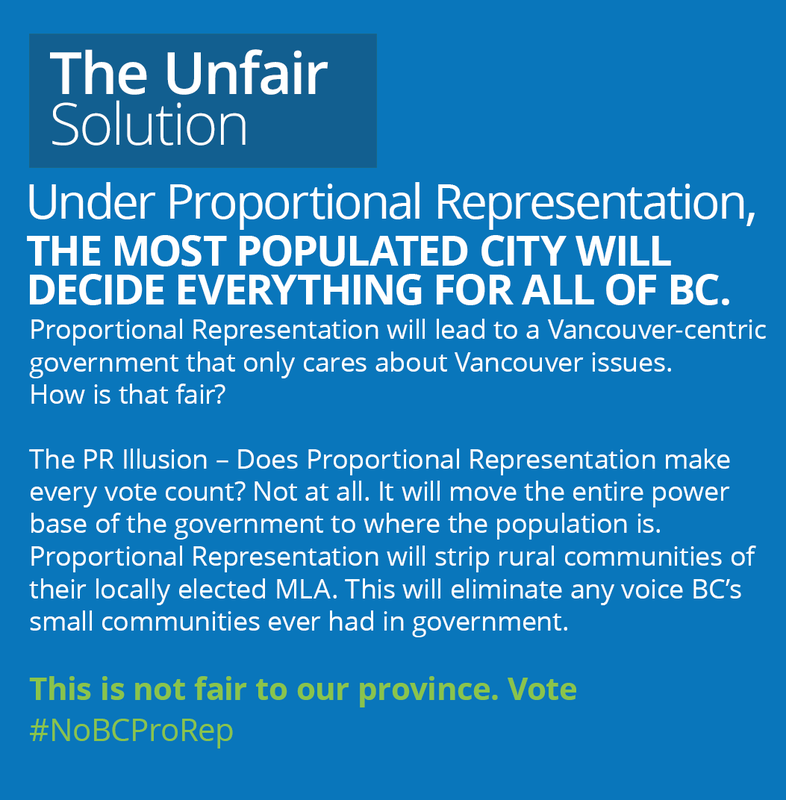 Under Proportional Representation, the Lower Mainland will dictate the government’s agenda, leaving the rest of the province begging for scraps. Rural BC deserves a voice in the legislature. 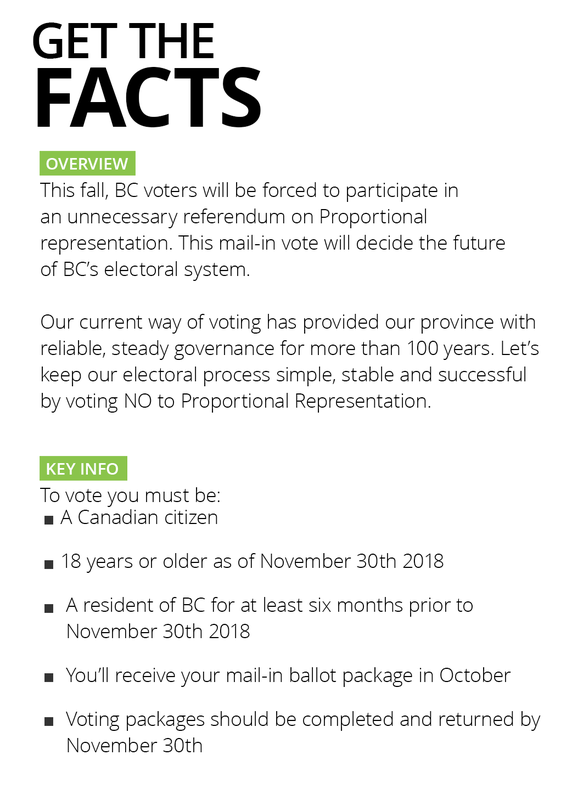 I’m voting NO to Proportional Representation this fall. What’s the point in voting if YOU don’t get to decide your representation? 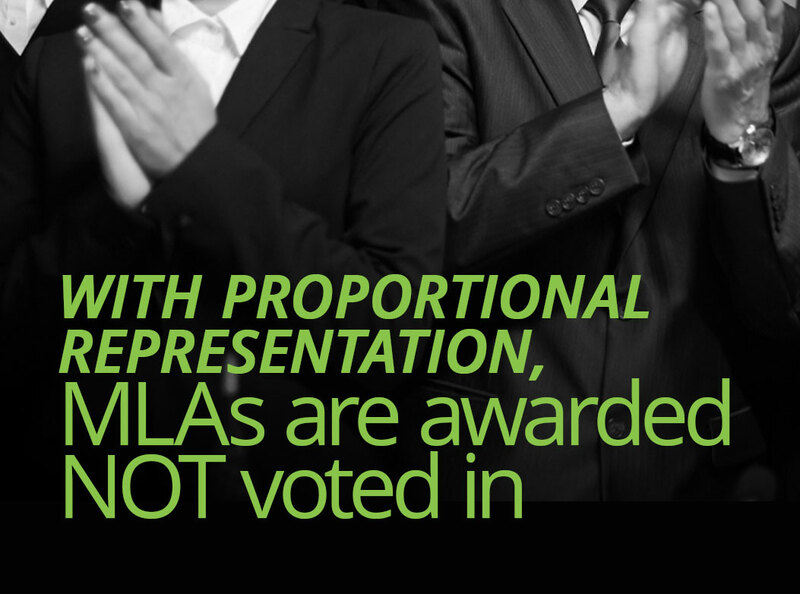 Under Proportional Representation, political parties will decide your MLA – not you. That’s not democracy. 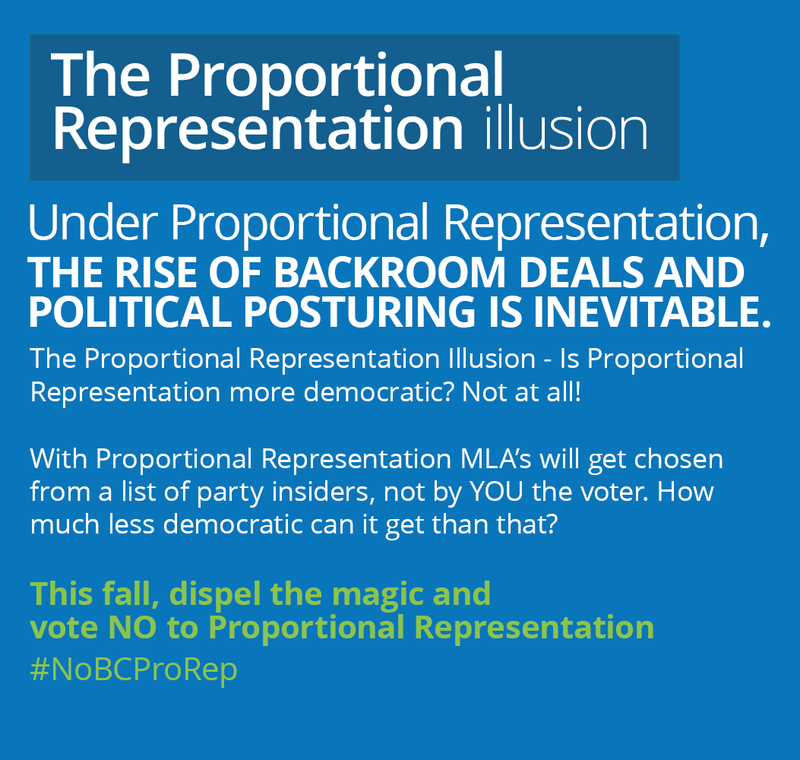 I’m voting NO to Proportional Representation this fall. 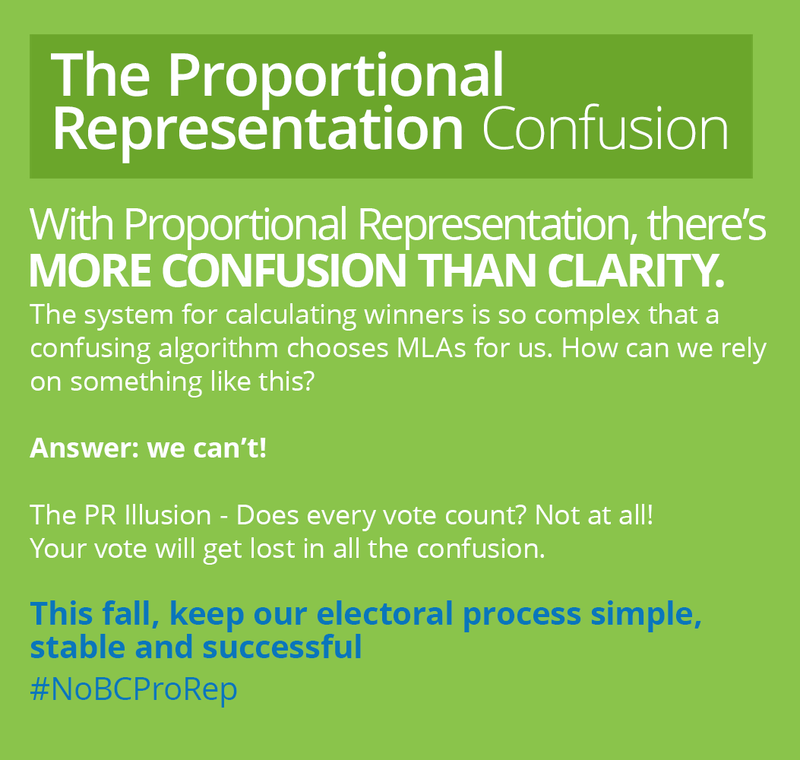 Utterly unfair: under Proportional Representation, your MLA is chosen by a confusing algorithm, meaning your vote gets lost along the way. Life is complicated enough. Voting shouldn’t have to be. 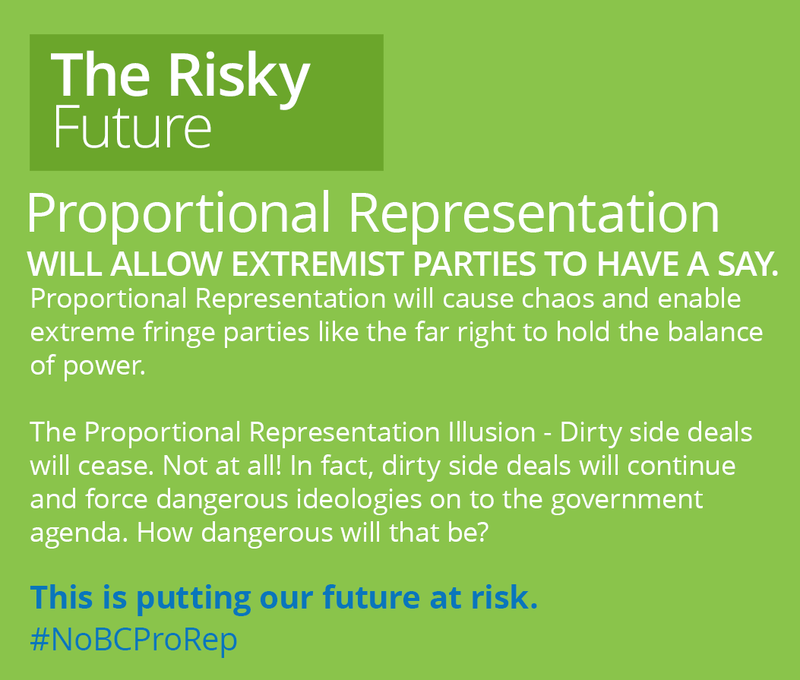 That’s why I’m voting NO to Proportional Representation this fall. In the country's system of proportional representation it is hard to get around a populist party with 17.5 percent of the vote. Victory for First Past the Post! No BC Proportional Representation Society elated at 3rd BC electoral system referendum victory for First Past The Post! It was the latest in a losing streak that includes failed efforts in Ontario, Ottawa and Prince Edward Island. 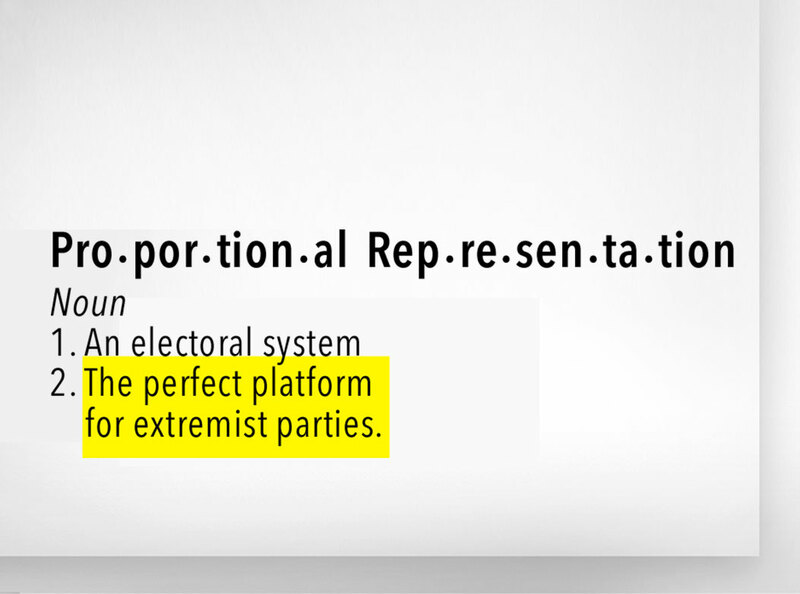 What do you think of Proportional Representation?